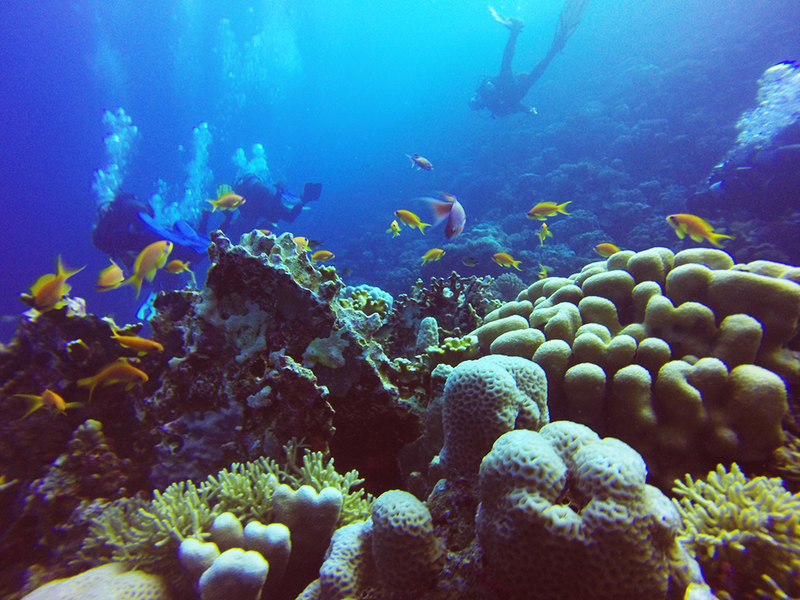 I know, it seems like I only go diving in Egypt. 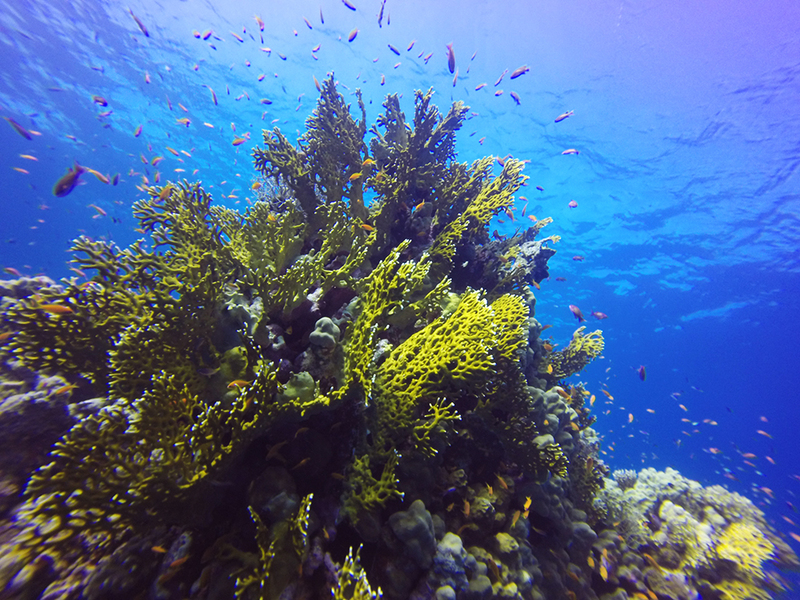 But what can I do if diving in the Red Sea is awesome and it’s the cheapest warmest place near Germany for the activity? 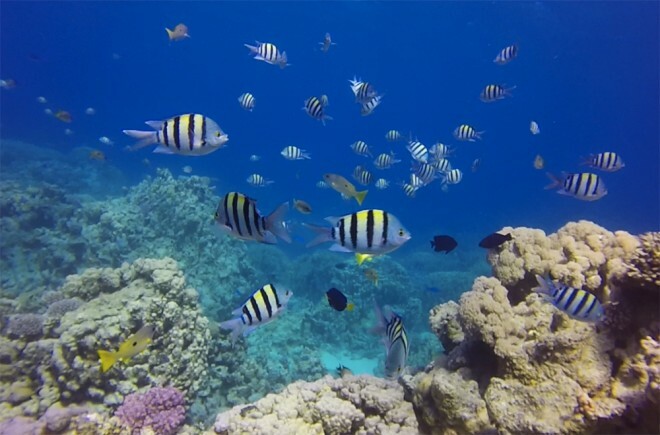 Besides, I never go to the same place, first it was Marsa Alam, then Sharm-El-Sheikh, this time I picked a very secluded place, where there are probably only 3 hotels and diving centers: Hamata. Hamata is located in the south of Egypt, more precisely around 170Km away from Marsa Alam, not far from the border with Sudan. Its remote location makes it still unknown for tourists, as well as unspoiled, but which attracts mainly divers and kite surfers – since the winds there seem to be ideal for the activity. 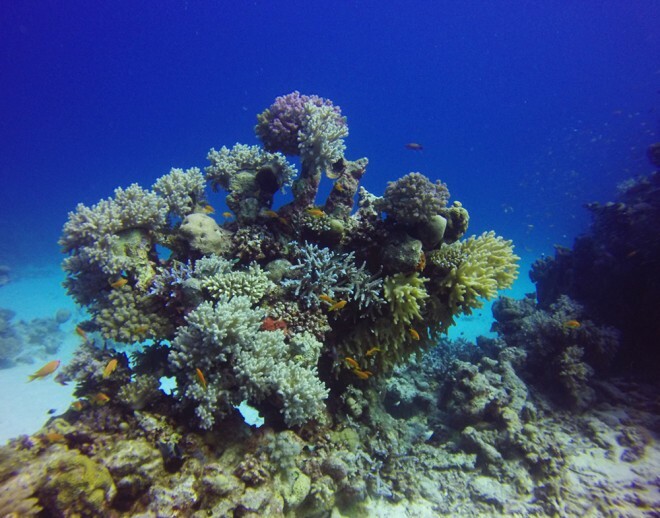 Diving here means that the dive sites are not crowded, most dives we were the only ones there, and this is definitely a plus when it comes to Egypt. The area around Hamata offers over 35 dive sites, some near the shore, and others in the middle of the ocean where you probably can’t see any land. 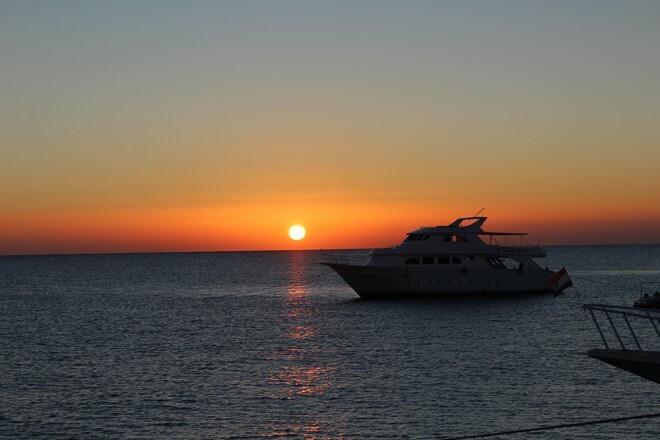 Among its dive sites, are the famous Fury Shoals, where normally Liveaboards make their stop on the way to Sudan. 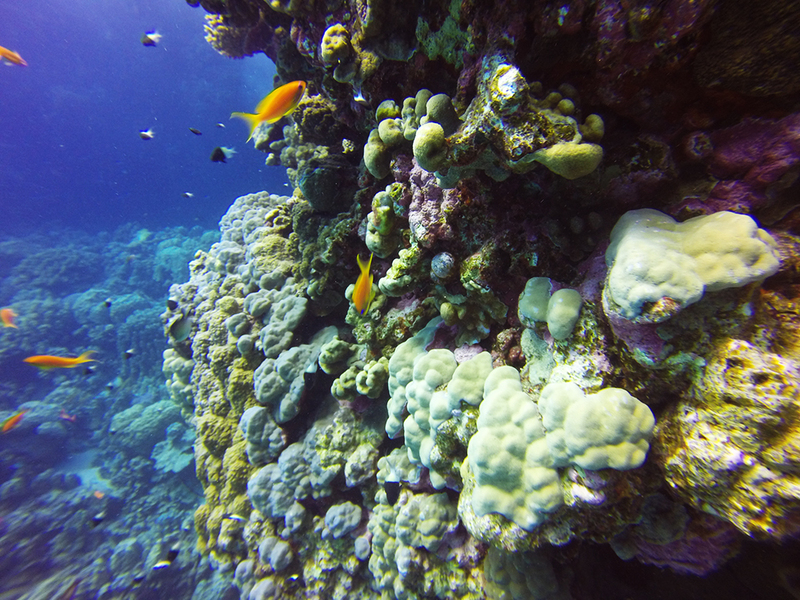 Caves, wrecks, canyons, amazing drop offs, coral gardens, hard and soft corals, secluded islands, can all be found around here. 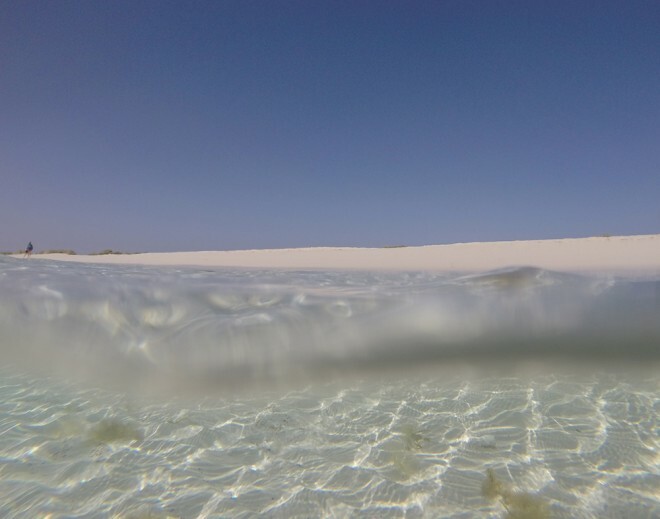 Because this season of the year – winter – is very windy in Hamata, the waters can be very choppy, which makes it difficult to reach certain dive sites, not to mention the current that can be very strong in certain places. 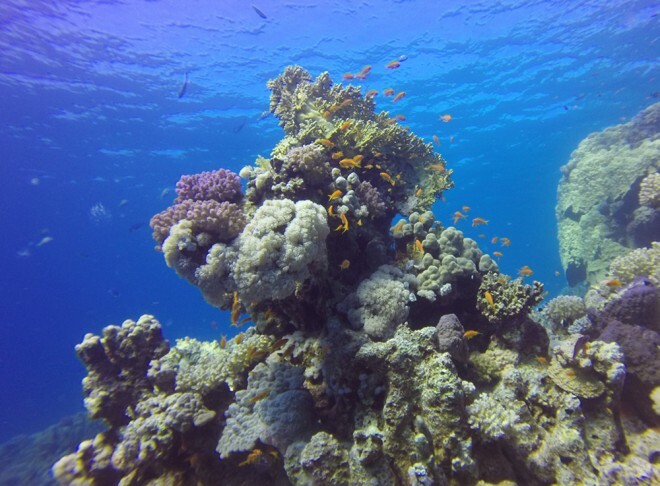 We had 8 diving days, but left without having the chance to dive on some dive sites that were high on our list, like Shaab Maksour – which is similar to the famous Elphinstone Reef, near Marsa Alam . 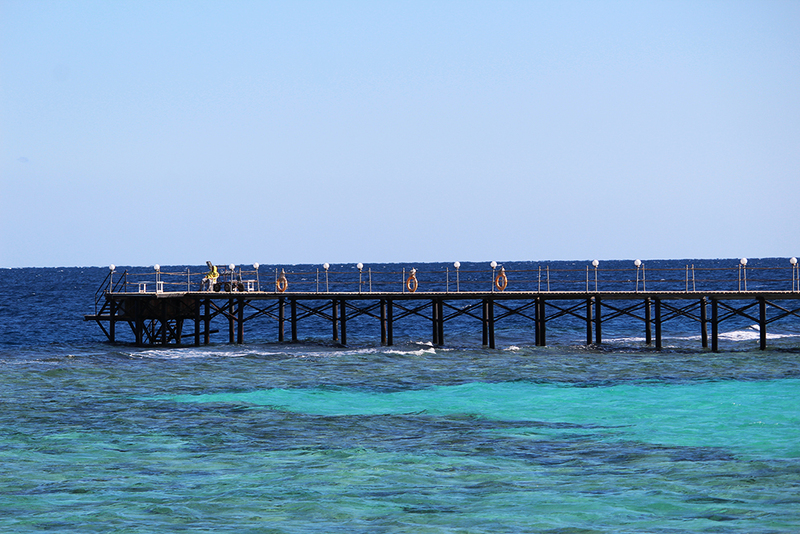 The house reef of the Wadi Lahmy Azur Resort is a pretty cool one, reachable by a jetty near the diving center. 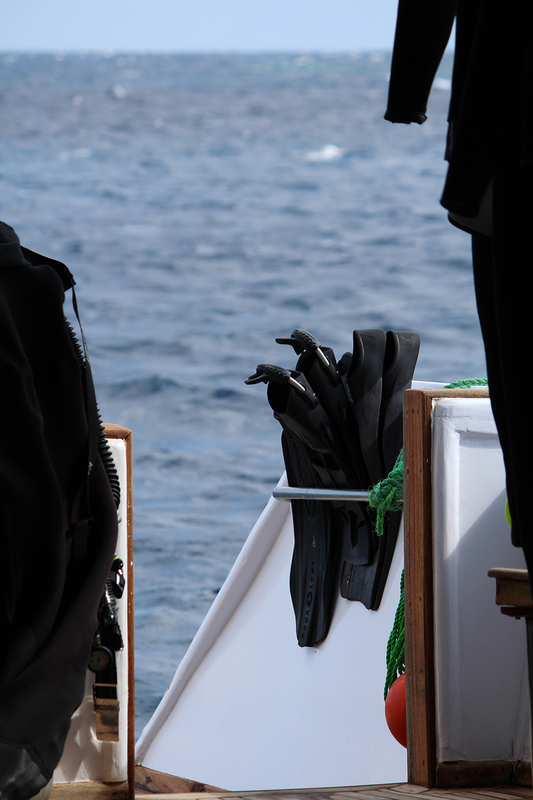 There are 2 possible routes for the dive, where many people reported to have seen dolphins while diving. 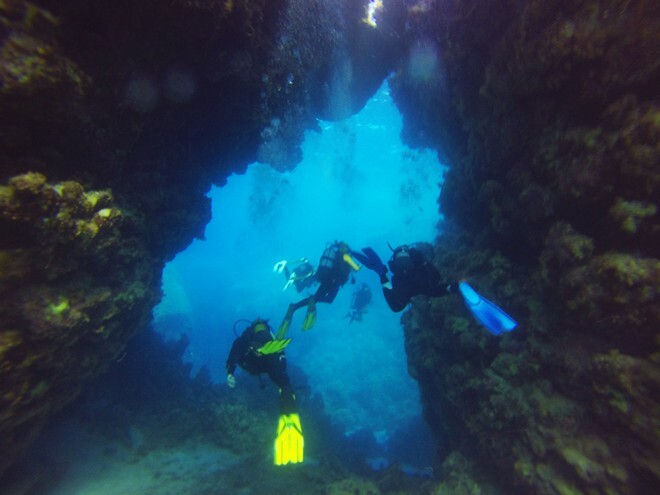 Part of the Fury Shoals, which are only reachable by Liveaboards and from Hamata, Shaab Claudio is known for its amazing caves at 7m depth. The great thing about these caves is that they have holes to the surface everywhere, which means they aren’t dark or scary at all. Where you can pass through a beautiful arch and be impressed by the corals all over the place. 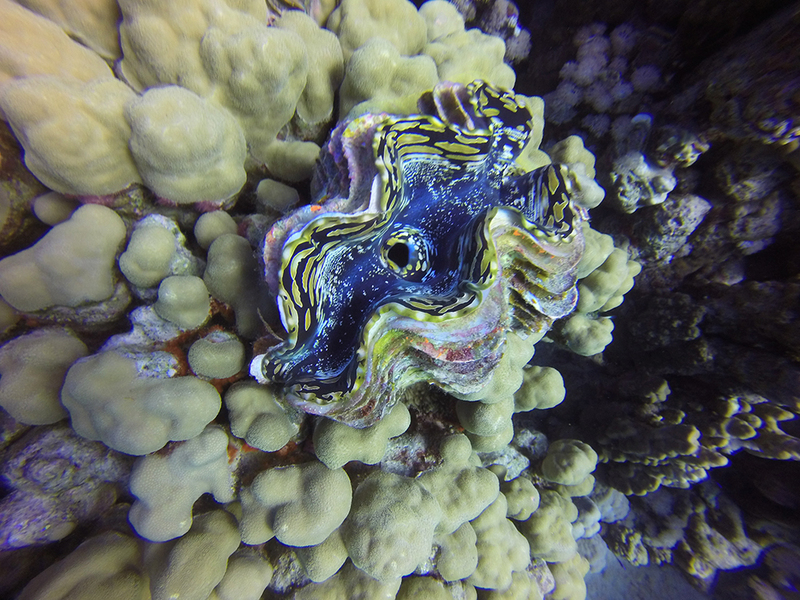 Where we spotted nudibranch (first time for me)! 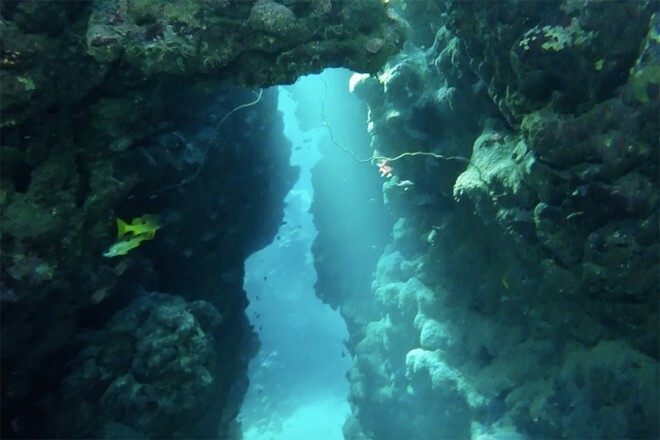 Right here we saw a White Tip Reef Shark – sorry, no photo of him as it turned out pretty bad – and at the end of the dive we passed through a beautiful little cave. 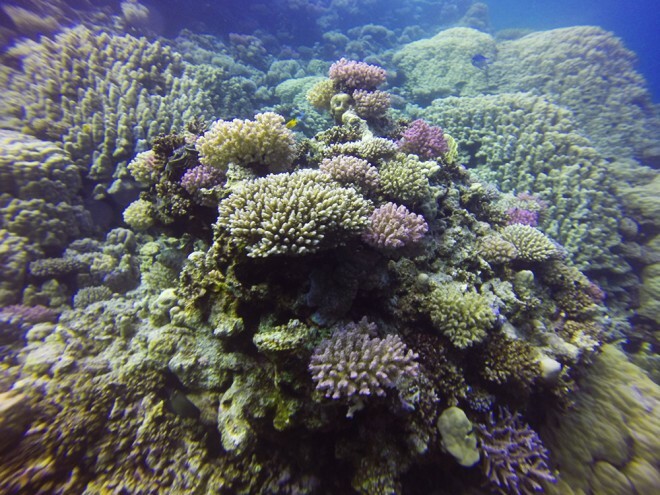 The most amazing dive site I have been so far. 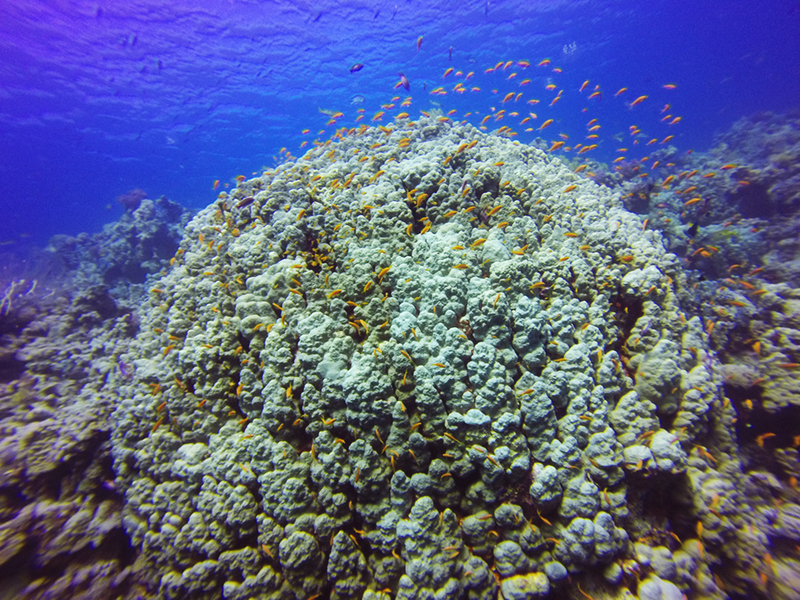 An amazing coral garden, huge pinnacles and a crazy drop off that goes until 100m deep. On our dive there were millions of jelly fish, which made the drop off even more beautiful out in the blue. If there is something you certainly will see during your trip to Hamata are Dolphins, and the chances to seem them while diving is high – yes, while diving, you read it right – for those who don’t know, spotting a dolphin while diving is rare. At the house reef of the hotel where I stayed, many people saw some of these cute animals swimming around. I only dived there once and wasn’t lucky to see them. But if like me you don’t get to see them while diving, you will surely see them from the boat, or will have the chance to go snorkeling with them at the beautiful site Shaab Sataya. I did both, and they were unforgettable experiences. Right on my first day in Hamata – the last day of 2015 – we spotted a group of dolphins swimming side by side with our boat. It happened once again a couple of days later. However, one of the most amazing experiences I ever had happened when we went to Shaab Sataya, which means Dolphin’s Reef in Arabic, and got to swim with wild dolphins in the open water. Simply amazing. *I preferred to leave the original audio so you can hear the dolphins. They are fast swimmers, but I did my best to enjoy being near them. It is important to mention that Shaab Sataya is a protected area and there are rules to be followed. For example, you should not touch the dolphins, ever, because your touch will take off the protection of their skin, which can make them sick; also, only 2 or a few boats are allowed per day there. We got to spend our last day on a secluded island, called Siyul, not far from the main land. It is a protected area as it’s where the birds use it for nesting. The sand beach and the clear water make the place a real paradise, where it’s possible to do snorkeling and dive around it. Even during the winter season, the water temperature is what I consider warm (min of 22-23 degrees) but the problem is the wind, which is chilly and makes it hard to return from the dive and not freeze a little bit. That was definitely something that bothered me, especially because I wasn’t expecting it! If you, like me, would be bothered by the cold winds, avoid going from December to March. If not, you can dive there all year long. When going during the winter season, take some hoodies and windbreaker jackets. As for the dive suit, I had a 3mm and was never cold underwater, but many people had 5mm, 8mm and some even had dry suit on. It’s up to you. On my research the best fit was Wadi Lahmy Azur Resort, where we stayed. So far, it was also the best hotel we stayed in the country, but keep in mind that a 4 star hotel in Egypt is not the same 4 star hotel in Europe. I dived with Emperor Divers before (in Marsa Alam) and this time I dived with Orca Dive Club, I can highly recommend both, but the first option is more expensive. 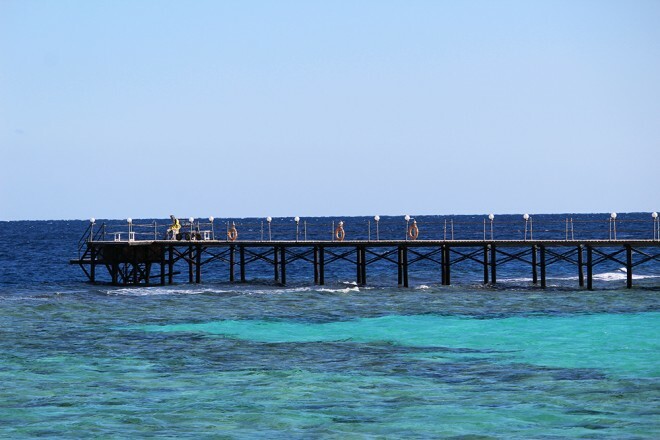 The best way to get to Hamata is flying to Marsa Alam’s International Airport and taking a transfer to your hotel. 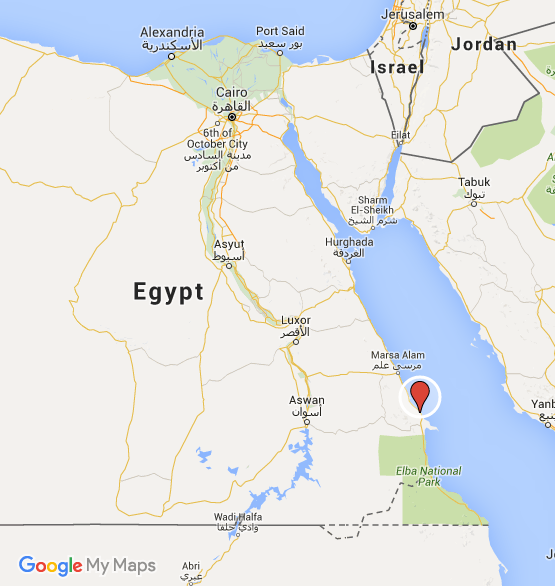 It is also possible to arrive at Hurghada’s Airport, though you are looking at a long drive away. I really expected to see more marine life around here. 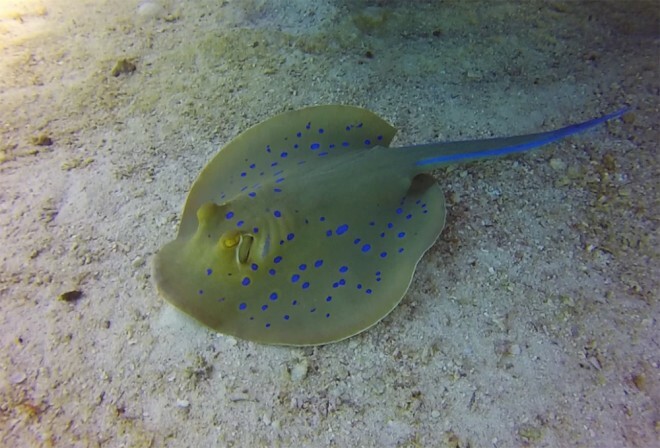 The only remarkable animals we saw during our dives were: 1 turtle, 1 White Tip Reef shark, some nudibranch, blue spotted stingrays, Napoleons, Morey Eels, and some Lionfish. 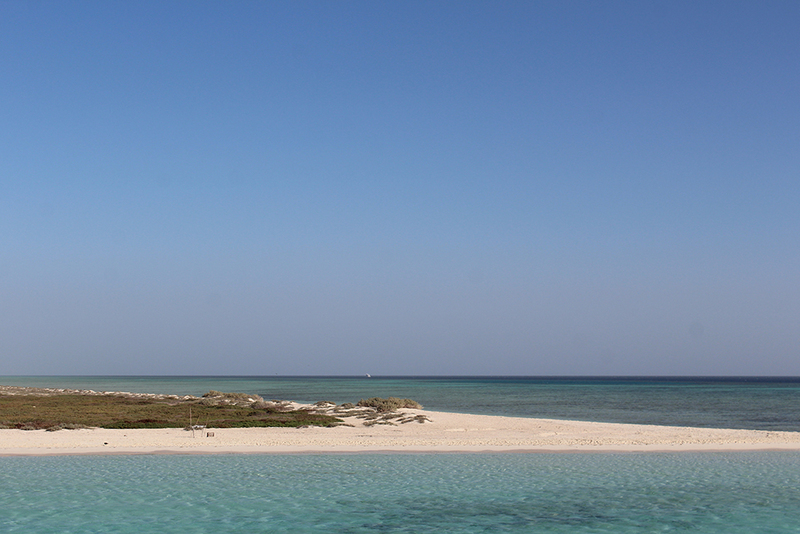 I was a bit disappointed about that; I saw much more in Marsa Alam and thought that since Hamata is more secluded I would see more there. 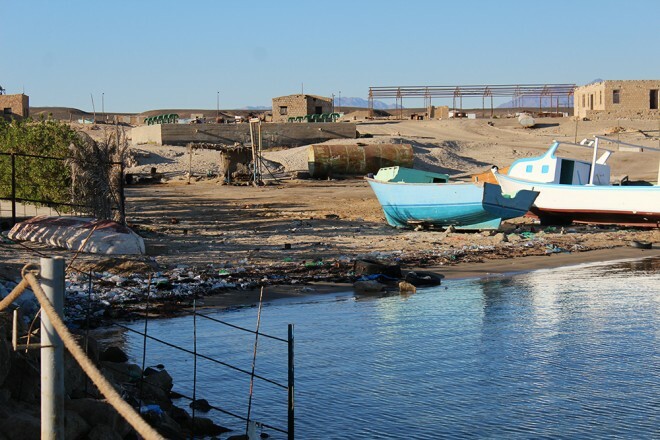 I heard that since the region is still not really protected by the government, there are still many fishermen doing what they are not supposed to, which I find really sad and unacceptable. I hope this will change soon. I didn’t see debris while diving, but as always, I was impressed by how much garbage there is on the beach and felt really sorry about it. Egypt relies a lot on tourism and yet people don’t take care of the environment. Disappointing. Let’s hope for the best. As for the visibility, I thought that this time of the year it was not good at all, some less than 10m. Only few dive sites had a good visibility, and I mean max 15-20m. 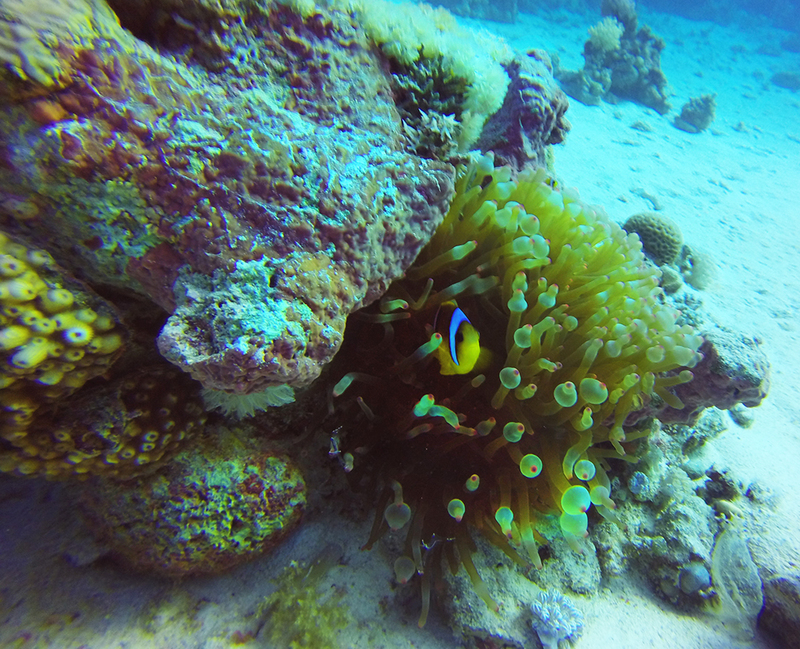 I asked one of the guides and he said the visibility is better in the warmer months, when the winds are not so strong. Maybe? 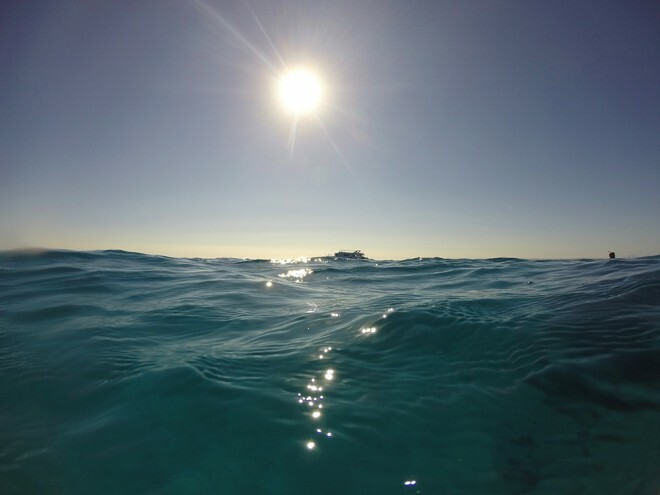 It was a diving trip of contrasts and extremes, the beautiful and the ugly, first times, bad and good visibility, cold winds and warm waters, secluded but not protected. Even though, I would like to return; in a different season. It is so amazing to see your under-water pictures as always! I just need to try diving soon! I know, pretty sad right? I really hope they start caring more for the environment, it’s such a beautiful place. Pitty! I hope you give a chance to diving someday, you will be impressed! 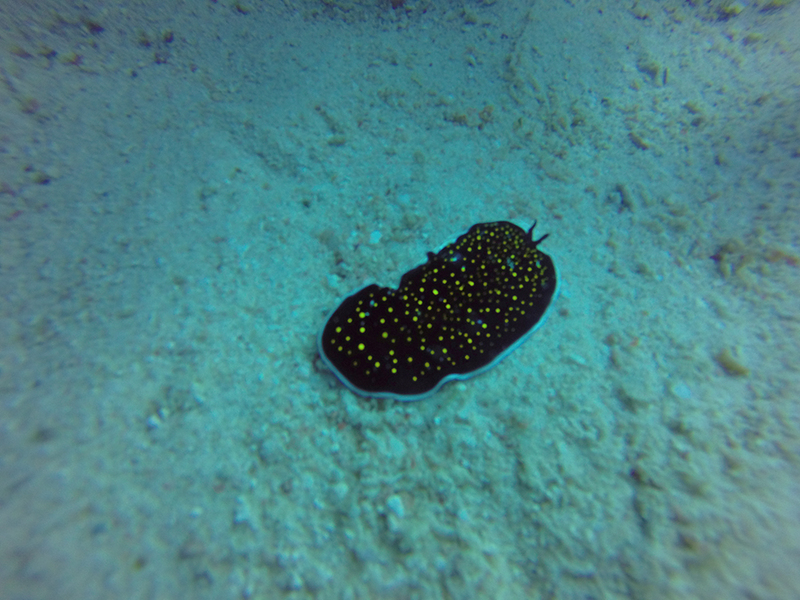 I don’t know the difference between the nudibranch and flatworm, but this one was changing forms, rolling around, pretty cute 😀 We saw other 2 ones, one of them being white with yellow, but didn’t get a good shot. Happy that you liked the post.